Tinnitus is a vexing problem for millions of us. The condition is more prevalent among older people, but they don’t have a monopoly on the problem. The symptoms can be caused by several different things. Accordingly, one specific treatment option does not appear to work for all sufferers. Many people suffering from ear ringing seek out natural or alternative therapy to assist with the condition. Resorting to hearing aids is often not effective. One treatment often touted is taking a gingko biloba supplement. At best, the results of studies on the effectiveness on relieving tinnitus symptoms is mixed. Cultivation of gingko biloba trees probably began about 1,000 years ago in China. The tree was likely grown initially for its nuts. Sometime in the next few hundred years it made its way Credit: wikipedia commons public domain - User:Luis FernÃ¡ndez GarcÃ­ainto Korea and Japan. The Chinese used Ginkgo in order to obtain cognitive benefits and to alleviate asthma. They also ate ginkgo nuts for the benefits of their supposed "strengthening" properties. Engelbert Kaempfer was the first European to uncover Ginkgo, which occurred sometime in the late 1600s. Linnaeus, a Swedish botanist and physician, later named the tree Ginkgo Biloba in 1771, which is translated as "silver plume with two lobes." circulation by opening up blood vessels and making blood less sticky. Gingko also acts as an antioxidant. The leaves from the GB tree have two types of chemicals (terpenoids and flavonoids) that act as antioxidants. In your body, small particles called free radicals can build up over time, and may contribute to heart disease, cancer, and Alzheimer's disease. Antioxidants work to fight off free radicals, and help to stop them from damaging cells in your body. Whether GB helps with alleviating the ear ringing of tinnitus or not, supplementation could have other health benefits. Most of the literature extolling the virtues of GB as a can't miss treatment alternative for ear ringing symptoms likely are sourced from those selling GB in one way or another. There are studies in which no statistically significant difference was seen between those taking Gingko Credit: wikipedia commons public domain - Benutzer:Darkoneand the participants taking a placebo. Some of the evidence in support of GB use is anecdotal, which doesn't mean it's untrue, merely that it isn't derived using scientific testing methods which screen participants and have a placebo given to some participants. A 2001 British study used questionnaires to determine differences between those taking a prescribed GB regimen and those who took a placebo. Although no actual tests were done on the subjects, statistical analysis of the the participant reports revealed no benefit from Gingko use. The placebo had roughly the same impact on participant hearing. Similarly, a 2004 scientific review of available gingko treatment studies for tinnitus also revealed that no evidence was shown that GB was an effective source of treatment. This review was updated in 2013 and the authors reached the same conclusion. Of particular interest to those reviewing Gingko supplementation options for tinnitus treatment is another published scientific compilation report from 2011. This one reached the same conclusion as the others that no evidence of Gingko assistance with tinnitus symptoms were shown, except when a specific type of Gingko was used. When one type or grade of Gingko was used for treatment, those who took GB showed improvement in their symptoms. The study concluded that standardized extract EGb 761 Gingko Biloba was an effective treatment to reduce tinnitus symptoms. The 2011 compilation study criticized the previous studies for not having standardized types of Gingko for use in them. The author noted flaws in the study protocols and the lack of specific Gingko quality in those studies. The standardized extract which did work contains between 22 and 26 percent flavonoids and 5 to 7 percent terpene lactones, the beneficial antioxidants contained in Gingko. The study noted that use of the standardized extracts was consistently beneficial for at least some relief of tinnitus symptoms. While the plant extract is widely used by many people and side effects are not common, they do exist and no supplement should be used without first visiting your physician to determine your chances of side effects and potential drug interactions. Internal bleeding could be a concern if you are already taking any type of blood thinning medication. Further, Gingko may not mix well with anti-seizure medications, antidepressants and blood pressure drugs. When deciding whether or not to use a GB supplement, considerations include effectiveness to treat tinnitus, pricing and potential side effects. In this instance, using the standard extract of Gingko could be an effective tinnitus treatment and these over the counter supplements are relatively inexpensive. If the cost of the supplement were high, then trying it out on a trial basis may not make sense because of the initial investment. GB is not costly and very few people exhibit any side effects. For most people, trying Gingko for a couple months makes sense. Many people take Gingko for general well being benefits, so even if the tinnitus stays the same you're body may benefit in other ways. 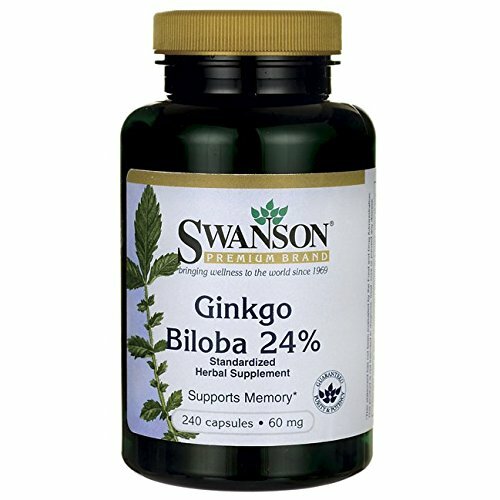 Gingko biloba is a popular over the counter supplement. Many people take GB for mental acuity and circulatory benefits. There is literature in support of Gingko use for tinnitus treatment. Given the low cost and rarity of side effects if taken properly, giving Gingko a try for tinnitus treatment is a good option. Thanks! I don't have any either. Great article! Nice to learn of another use for ginkgo biloba. Thank you! Thanks for reading! Gingko does have some interesting uses. I'll have to give it a try. Tinnitus can be really annoying. Yeah, gingko is cheap and available everywhere, so it's worth a shot. Thanks for reading! Nice article. I didn't know it had such strong effects. I have Tinnitus from the military, maybe I'll try this out. Thanks for reading! Gingko is worth a shot.